Outcome Based Education is not new. It has been around for a while, though it’s only been a few decades since we have decided to implement it in large scale in our institution. In this context, we have written a few blogs on Outcome Based education and it’s upsides in assuring quality. There are governmental agencies and accreditation bodies like the NBA and NAAC which makes use of OBE principles too. But apart from that, having to implement OBE in an institution typically takes some work, particularly for the teacher. OBE begins with identifying learning outcomes and desired goals to achieve. As the name suggests, the learner needs to achieve these outcomes in order to say that the education has been a success. So this time, we will check out a few things that you should know while implementing OBE in your institution. As we said above, Outcome Based Education is nothing new. In fact, the theory has been around for decades in one form or the other. To widely accept OBE as a quality standard for education, the Washington accord was created in 1989. The National Board of Accreditation (NBA) is the signatory body that represents India in the Washington accords and was granted a a full membership status in 2014. The Washington accord and accreditation agencies like the NBA, NAAC, and ABET all bases their quality assessments upon OBE. They have drawn out some elaborate workflows and templates for teachers to work on and build a successful OBE framework in their institution. These includes desired outcomes like the Program Outcomes from Graduate Attributes and Program Specific Outcomes (PSO) which the institution defines for better results and assurance of quality based on the prescribed OBE framework. A student should also actively take part in shaping the curriculum and teaching-learning by providing insightful feedback and analysing the outcomes they are expected to achieve. A successful implementation of OBE is rather a collective effort instead of a few key decision makers choosing what’s best for the students and teachers with very little data. The outcomes which are to be achieved should be chosen carefully based on data from alumni, learners, teachers, industry and environment etc. In fact, the stakeholders should actively take part in OBE process for it to be a success. Methods of assessments is another important aspect of OBE. Unlike the traditional model, marks scored in exams are merely indicators of the outcome achievement rather than the results themselves. There are more observation and practical assessments involved in OBE. Each outcomes are weighed upon their merits and values and are accordingly mapped to respective assessments and indicators to measure their achievement. For example, measuring Course Outcomes include mid and end semester exams, tutorials, assignments, project work, labs, presentations, alumni feedback etc. These course outcomes are mapped to Program Outcomes(POs) and Program Specific Outcomes (PSOs) based on relevance. This evaluation pattern helps Institutions to measure the achievement and track the Program Outcomes. The Program Educational Objectives measure through employer satisfaction survey, alumni survey, placement records and higher education records. Since there are all these data to make sense of and to handle, it not uncommon for institutions to make use of technology platforms like Academic Management Systems for ease and better control. With such edtech tools, teachers and stakeholders can manage the accreditation data, create various reports etc with ease. 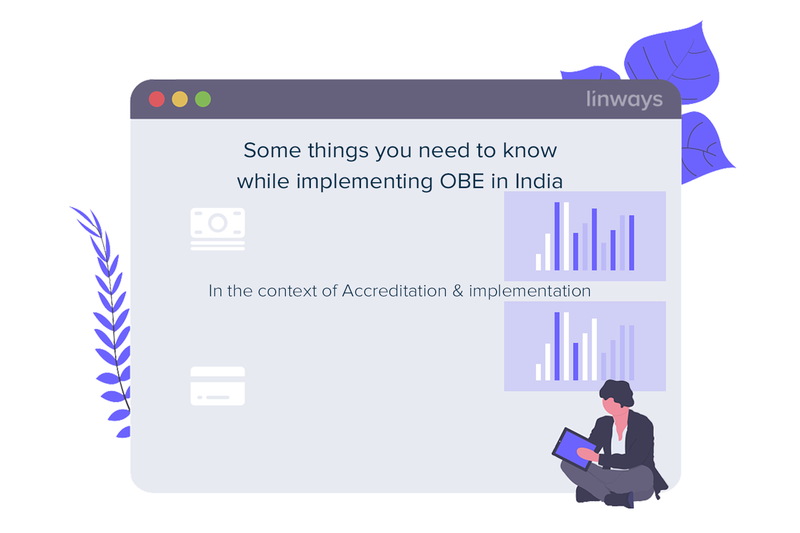 So as of now, we have seen the basics of OBE, and the relevance and details of its practical application in India. We will come up with more details on creating a usable framework and some real life examples of effective management of OBE in our next blog so that you can compare and refer to build one for your institution. June 24, 2016 What and How about NBA accreditation. For teachers, learners, and academicians. March 20, 2018 How to design a great course curriculum. 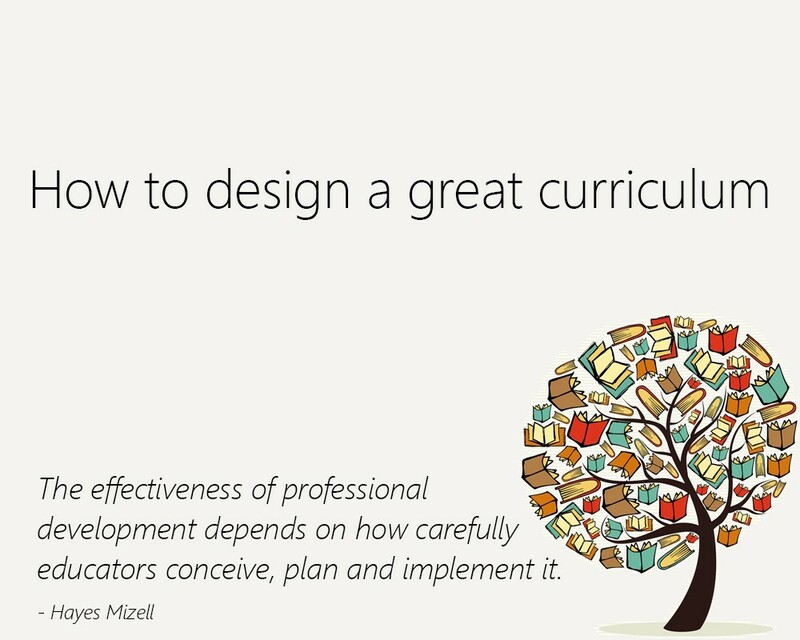 The art of planning and designing a great curriculum.